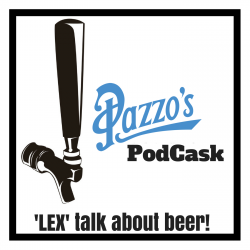 A show discussing craft beer, pairings, and much more from the comfort of Pazzo’s Pizza Pub in Lexington, Kentucky. The guys are joined by Chris from Lex Beer Scene and talk about the upcoming Fest of Ales on September 2nd. They also talk football season, and Game of Thrones pairings! Recorded live at Pazzo’s Pizza Pub.